We all have heard of arthritis very commonly. But not many understand what exactly is the disease about. 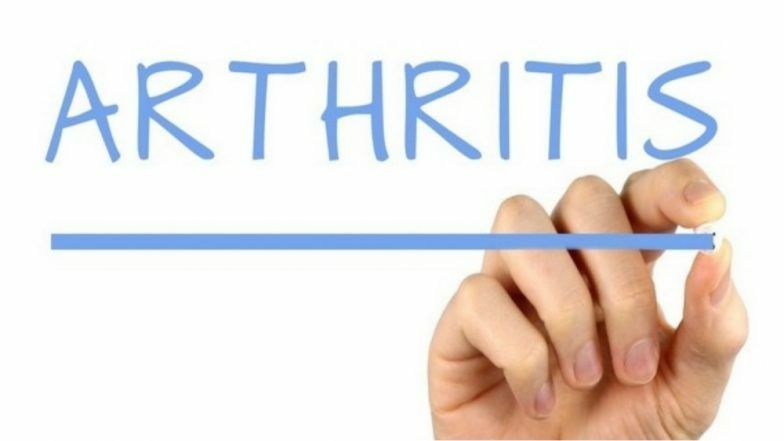 In simple words, arthritis means inflammation of joints. A joint is where two bones meet, which helps in our bodily movements. A very common symptom is the joint pain- usually in the knees and hands. The person experiences pain and swelling in the joints. There are different types of arthritis depending on how many joints get affected. Those related to wear and tear of cartilage is called as osteoarthritis. And those associated with inflammation resulting from an overactive immune system is known as rheumatoid arthritis. Doctors prescribe anti-inflammatory medications and painkillers for the cure but it is not a permanent solution. Besides, there can also be side effects of the medication. Acupuncture is a form of Chinese medicine that involves inserting thin needles at particular points on the body. These needles stimulate the nerves, muscles and tissues which ease out the pain especially shoulder stiffness, and knee pain. The National Health Service said, "Acupuncture is often used to treat other musculoskeletal conditions (of the bones and muscles) and pain conditions including chronic pain such as neck pain, joint pain, dental pain, postoperative pain." No one denies to a good body massage. Massaging properly on the body joints can ease out the stiffness and make you feel relaxed. However, in arthritis, it is important to focus on which body part the pressure is given on. It is usually advised not to pressure more on the tender and sensitive joints. Even though it may seem relaxing a bit, it can prove harmful later. You may first think of Tai Chi as a martial art but it is more than that. Tai Chi is a Chinese practice, which combines smooth bodily movements along with meditation. Meditation is beneficial for the entire body and mental health. It is an enjoyable form of exercise which requires mind and body integration, controlled breathing and mental concentration. It can not only reduce your joint pain but also improve your functions. If you are a fish lover, this is just what you want to know. If you are suffering from Arthritis, fish containing inflammation-fighting omega-3 fatty acids should be included in your diet. Experts recommend you to eat close to 100 gms of fish twice a week. Fish like salmon, tuna, mackerel and herring are full of inflammation-fighting acids. Losing weight and maintaining a healthy weight balance is extremely important if you are an arthritis patient. Following a proper exercise and diet regimen is important. But in Arthritis even the simplest of movements can be hard to perform. Hold weights at your sides, palms facing upward. Bend your elbows and bring your hands up. With an exercise band across your shoulder blades, rest your arms at your sides with elbows bent. Raise one arm out while straightening your elbow and turning the palm down. Rest that arm, then repeat with other arm in the boxing motion. Take a grip of an exercise band, extend your arms forward, palms down. Squeeze your shoulder blades together while pulling your arms out to the side. Slowly return to starting position and repeat. With three exercises you can strengthen your bicep muscles, triceps, upper back and shoulders. If you are somehow who looks more into natural healing than medication, then you should definitely try some of these mentioned measures. A good massage once in a while along with regular exercise can help in controlling the joint pain to a lot of extent. Overall maintain an active lifestyle and a positive mental health.